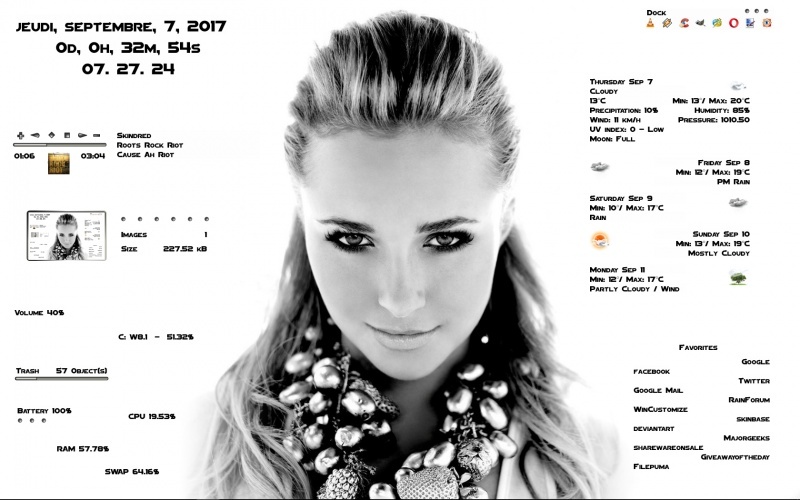 Hayden(V1) by Sephirotess: Hayden Panettiere simple suite :-). - easy configuration. Use the config panel to change settings. - Weather: information (from Weather.com) for 5 days. Icons by HipHopium :-). - Recycle Bin: shows the number of present files. It also shows the rate of replenishment of the trash (bar). - Volume: left click on the percentages increase sound & right click decrease sound.